We have cancelled the All Candidates meeting which had been planned for September 26th at Brescia. There are a number of other all candidates meetings scheduled. The Free Press web site has the candidates’ replies to their questionnaire on their web site. We still intend on sending three questions to the candidates and we will post the answers to the community web site. Doors will open at 6:00 p.m. The meeting will take place from 6:30 p.m. – 8 p.m. followed by a “meet & greet” until 8:30 p.m. The Hyde Park BIA invites Ward 7 residents as well as residents from across the city to join them for a chance to get to know your candidates in a relaxed and licensed atmosphere. Questions can be submitted in advance to info@hydeparkbusiness.com, and there will be the opportunity to ask your questions directly to candidates during the meeting. Refreshments will be available for purchase during the event. 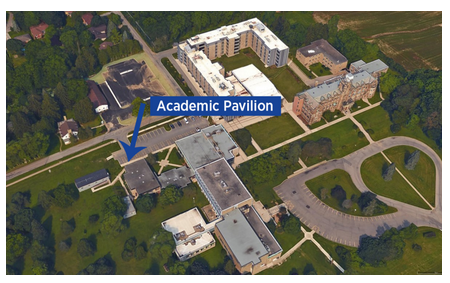 Brescia will open a new state-of-the-art Academic Pavilion in Fall 2019 that will house new food labs, sensory and research laboratories, multi-tiered classrooms, an active learning classroom, an expansive student lounge and a community gathering space. Over the course of the next year, we will receive updates from Brescia. Brescia has re-located its accessible parking spaces to the upper parking lot, just outside of the Mother St. James Building. Hope to see you this coming Thursday, May 25th at Orchard Park Public School for our 3rd annual BBQ as well as our community Annual General Meeting. The BBQ starts at 6 pm, the meeting at 7:30 pm. Come for both if you can. The Celebrating Seniors Series runs every 2nd Wednesday of the month at the Sherwood Forest Branch Library from 2 to 3 pm. There is a Francophone Senior’s Group at the Cherrryhill Library every Friday from 1 to 3 pm. There is a seniors Current Events Discussion Group at the Masonville Library every Thursday from 1:30 to 3:30 until May 18th. STRENGTHENING NEIGHBOURHOODS STRATEGY: There are a number of open houses on this topic between March 28 and 30th, including one at Medway Arena on the 29th from 7 pm to 8:30 pm. Go to the engage London site for other times and locations. There is also an on line survey and comment form. City staff are looking for your comments by March 31. Council will not be passing the budget until March 10, 2016 which means there are still opportunities to get involved. January 21 was the first round of discussions by Council. If you go to the City’s web site and look for the Council meeting agendas, you will be able to watch the discussions. Complete budget information, updates and presentations are on line at the City’s Budget page. You can follow the discussions on Twitter: @CityofLdnOnt or #LdnBudget, and at the City’s Facebook page.